There are three stages to filmmaking— Pre-Production, Production and Post-Production. Pre-production is easy. You’re in it now. Although the truth, more likely, is you’re probably in “BS” Pre-Production. You know, you’ve got numerous projects in various stages of development but don’t have a penny to write a check. “Real” Pre-Production is when you’re spending money on script development, casting, scouting and securing crew. Bottom line—Pre-production is not difficult. The second stage, Production, is right after you get some financing (i.e. when Dad sold his cherry ’49 Duesenberg and gave you $100,000 just to shut you up.) Now you quickly get everyone together and spend nine to eighteen days of 14-18 hours each, shooting from dawn to dusk. Pre-production is easy. Production is a ball buster. During Production everything happens at once. The actors, lights, camera, props, schedule, film stock, egos, temper tantrums, and all the rest. Production, although typically presented as being fun and joyous, will probably be the worst 2 or 3 weeks of your life. But you persevere. Somehow you get that Martini Shot. Your film is in the can. You bring out the flat beer and celebrate. Everyone hugs everyone (except you, the skinflint producer) and goes home. You pass out and wake up approximately two days later. When you do wake up, you find 50,000 feet of film or 20 hours of tape by the foot of your bed. You’re all alone. What do you do now? The answer, of course, is simple. You begin Post-Production. Post-Production, somehow, is the part of this process that intimidates people most. Remember, it is not difficult. Production is massively difficult. Post-Production is not, as long as you take it step by step. Your first phone call will probably be to your cinematographer who, although he/she hates you, will be able to introduce you to several good editors. All you need to know about Post-production and finishing your film is the thirteen steps listed below. Just take them one at a time, in the order they appear. There will be no eighteen hour days. 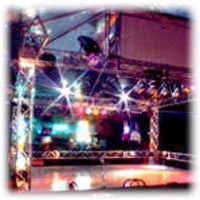 Your function will be to hire people and oversee them by dropping in for a half hour here and there. Post-production, I repeat, is not difficult. 1 PICK AN EDITING FORMAT: There are two ways of doing post-production. One is the old way, the film way. 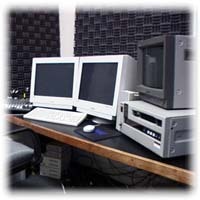 Shoot film and edit or splice film on film editing equipment. Two is the new way, the electronic way. Shoot film, but don’t get a print at the lab, just develop the negative, then transfer the developed negative to a tape medium or digitize it to a non-linear format and edit electronically. This is not an article about the pros and cons of film vs. nonlinear editing, so just pick a format. The steps are pretty much the same in either format. 2 HIRE A PICTURE EDITOR: After you have selected a format for post, your cinematographer will probably be able to introduce you to two to three editors who have demo reels. Select one, and allow him/her to pick an assistant and tell them you’ll give them 8-10 weeks to give you six cuts. When you’re done you’ll have gotten your 50,000 feet or 20 hours down to 8,100 feet or 90 minutes of tight storytelling. 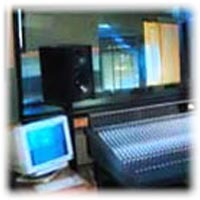 3 HIRE A SOUND EDITOR: Now, about two months later, the picture film is tight but you need to enhance the look with sound. Thus, hire a sound editor and an assistant for five to six weeks to (A) Cut Dialogue Tracks, (B) Re-create Sound Effects and (C) Get Cue sheets ready for simplifying Step #7, the mix. 4 DO ADR: This stands for Automatic Dialogue Replacement. What it actually is is a large, hollow room with a projector that projects your workprint from Step #2 and has the actors come back and lip sync and loop dialogue that wasn’t sharp and clear. 5 DO FOLEY: Go to a room that looks like (or very well could be) the ADR room and this time, without actors, have sound people (called Foley Artists or, sometimes, “walkers”) put the noise of footsteps and certain other sound effects into the film. 6 SECURE MUSIC: First, for your musical score, here’s what not to do. Don’t use any popular old song that you haven’t purchased the rights to. Don’t even think about public domain or classical music, either, because it’ll either get expensive or it’ll stink. Don’t use any pre-cleared CD-Rom music because it won’t be good enough quality. What you should do is simply this: hire a musician with his/her own studio to compose brand new original songs and tunes that you have the rights to. 7 DO RE-RECORDING/MIX: Now that you have 20-40 tracks of sound (Dialogue, ADR, Foley, Music) you must layer them on top of each other to artificially recreate a feeling of sound with depth. This is called The Re-recording session or The Mix. 8 GET AN M&E: Somewhere in the not-too-distant future you will be selling the rights to your film to foreign nations. The distributor/buyer in that nation wants a sound track without English dialogue in it. Thus, the M&E stands for only Music & Effects. 9 GET YOUR TITLES: Your editing is now done. What is left is to get the final pieces needed for the answer print and give them to the lab to finish. The first pieces to get are your six to eight Opening Title Cards and then the Rear Title Crawl. For this you go to an optical house in your area. 10 GET AN OPTICAL TRACK: From the Mix you have a very dark magnetic sound track that, if you put it on the picture film, it would literally blot out the picture. Thus, you convert the magnetic sound to a very thin strip of sound called an Optical Track that the lab can place on the film in between the sprocket holes and the picture frames. 11 CUT THE NEGATIVE: Now, at the lab where the original developed negative has been sitting untouched for about two to three months you take the edit list (the 200-300 splice points) that you got from the picture film editor (Step #2) and give it to a Negative Cutter at the lab. This person, sometimes called a “conformer,” cuts the negative to conform to the 200-300 splices in your workprint. 12 COLOR THE PRINT: Now, with your cut negative, you can have the lab give you an excellent color print. This is sometimes called “timing.” The only artist at the lab is the “timer” or color corrector and he/she will colorize your film frame-by-frame with a computer that will have it looking prettier than the original workprint you’ve been working with. 13 STRIKE AN ANSWER PRINT: This is it. This is the final step before your beautiful film is born. The lab now has (A) the cut negative, (B) the correct coloring code, (C) the optical sound track, (D) the list of fades and dissolves and (E) the Opening and Closing Titles. The lab puts this all together and gives you a “composite print” or a “first attempt” at your answer print. You look at it once, recommend changes to the timer, and your “second attempt” is usually your finished, gorgeous film ready for festivals. Once again, the shoot (production) is outrageously difficult and overwhelming but the edit (post-production) is a very calm and do-able process. So relax and just do it one step at a time. 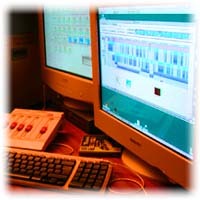 4 Off-line post-production rooms with Avid Media Composer and Avid Mojo. 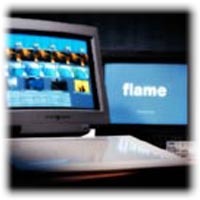 3 On-line rooms: 1 with Flame 8.5, 1 with Smoke 6.0 and 1 with Final Cut 2K). VTR: Digi-Beta-Pal, Digi-Beta-NTSC, Betacan SP Pal, Dvcam Pal & NTSC and MiniDV. We are doing the transfer process (negative to positive) with the best company in Argentina (Cinecolor). We can give you the best prices in the market. Better than South Africa and Australia with the same equipment and same quality, of course. Video Streaming enables the real-time distribution of digital media (audio, video, and data) over a network such as the Internet or a corporate Intranet so that it is received as a continuous real-time stream. Video Streaming data is transmitted by a server and presented in real-time to a client application running on a PC or other electronic device such as a cellular phone or Personal Digital Assistant (PDA). Video Streaming allows these devices to begin playback of the multimedia as soon as enough data has been received and stored in the client’s buffer. Another advantage of Video Streaming is that it allows the multimedia to be downloaded and viewed simultaneously and leaves behind no physical file on the client’s device. Just about any multimedia content can be streamed using Video Streaming including audio and video assets acquired from virtually any source. Whether your multimedia is stored on old 8mm film reels or already stored as an MPEG file on your computer, it can be streamed with us. Everyone can benefit from Video Streaming, from corporations holding live shareholder meetings online, to new parents sharing their child’s first steps with long distance relatives. With 10 years of experience, we've produced thousands of commercials and short-form features and thousands of hours of long-form programs for distribution to music and talk formats. One of our specialties is the one-minute sponsored feature, the centerpiece of our Sustained Identity Marketing programs. We match up your brand positioning with the content that will be most compelling to your target audience. Broadcast-quality editing for all videotape and digital formats. Digital stereo audio, featuring eight audio tracks plus equalization. 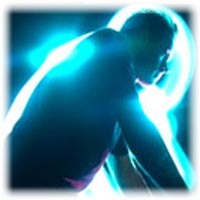 Full range of special effects including: image editing, compositing motion tracking, and 3-D effects. Digitize video of any type, convert it to digital formats including MPEGTM or QuickTimeTM, and transfer it to CDs, Zip drives, or other storage systems. Digitize photos and slides to CD-ROM in most graphics formats, including JPEG, GIF, TIF, and other digital formats. 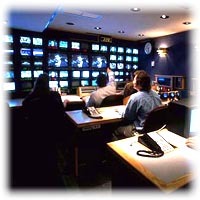 Post Media Inc. have a well-equipped television studio suitable for small scale productions or training in the techniques of television. Recordings are not restricted to the studio area, as several camcorders and portable recording units (including VHS, SVHS, and mini DV) are available for use by both staff and students for on-location filming. DV has been adopted as the standard digital format. Several portable units are available ranging from near broadcast to high quality domestic. Programme production is aided. 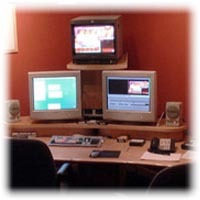 Post Media Inc. have tape based (linear) editing facilities for all the above formats, and also several digital editing suites. 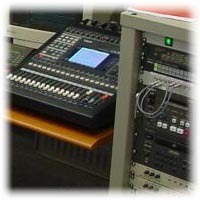 Masters can be produced on tape or compressed for in-house production of Video CDs. Alternatively, the edited material can be transferred directly to Media Services' own video streamer. Programme production ranges from student projects to the recording each year of the University's Degree Ceremonies; from costume drama to laboratory practical classes. Filming can either be on location or in Post Media Inc.' television studio. Lectures can be recorded on videotape. This can be done on VHS for immediate playback, or on a professional format, for editing prior to distribution. Alternatively, lectures can be video streamed using the Centre's own resources. Off-air facilities are provided not only from regional terrestrial transmitters but also by the Centre's own satellite communications links. The University holds an "ERA" licence allowing recordings to be made of most off-air material. Application forms to use this service are available from the departmental secretary. Post Media Inc. provides a videotape copying and, if necessary, standards converting service. Copyright clearance must always be obtained. The copying service has been extended to include compact cassettes and CDs (both digital and audio). Reformatting between media is possible. 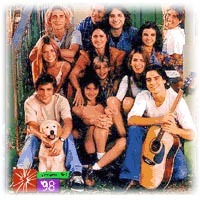 Trademark and Copyright © 2002 Post Media, Inc.® All rights reserved.